Live on the Beach! Welcome to the historic St. Regis! 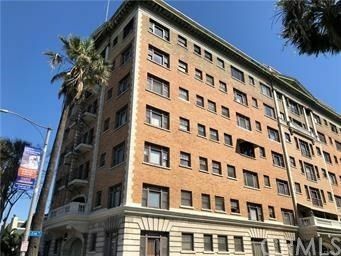 Built in 1922, this beach-front building is minutes from the beach bike path, Bixby Park, and Downtown Long Beach! NEWLY PAINTED studio features laminate flooring, custom built ins, and a murphy bed. Studio living at its finest! The kitchenette features granite countertops, stove, and cabinet space. Common areas include lobby area, laundry in basement, and outdoor patio that leads straight to the beach! Inclusions: stove, refrigerator, air conditioning unit, heating unit, and murphy bed.